New institute will include research on the use of proton beam therapy A £110m cancer research institute is to be established at Oxford University, a development spurred by a £35m grant from the UK government. The Precision Cancer Medicine Institute will carry out research into a wide range of cancer therapies, including the use of genomics and molecular diagnostics, advanced cancer imaging, trials of new drugs, minimally invasive surgery and proton beam therapy. The aim is to understand how making cancer treatments less invasive and more directed to the characteristics of the patient’s own tumour could improve cure rates. Scientists will now work to establish the new institute with a £35m grant from the Higher Education Funding Council for England (Hefce) through its UK Research Partnership Investment Fund (RPIF). This is to be matched with over £75 million of investment in financial contributions and support in kind from partners in the project. The proposed partners include Cancer Research UK; Roche Diagnostics; GE Healthcare; Mirada Medical; Brandon Medical; Blue Earth Diagnostics; and the University of Florida Health Proton Therapy Institute. It is proposed that there will be a significant investment in the operation of a proton beam research facility within the new institute by ProNova Solutions, the intended US supplier of the proton beam equipment. 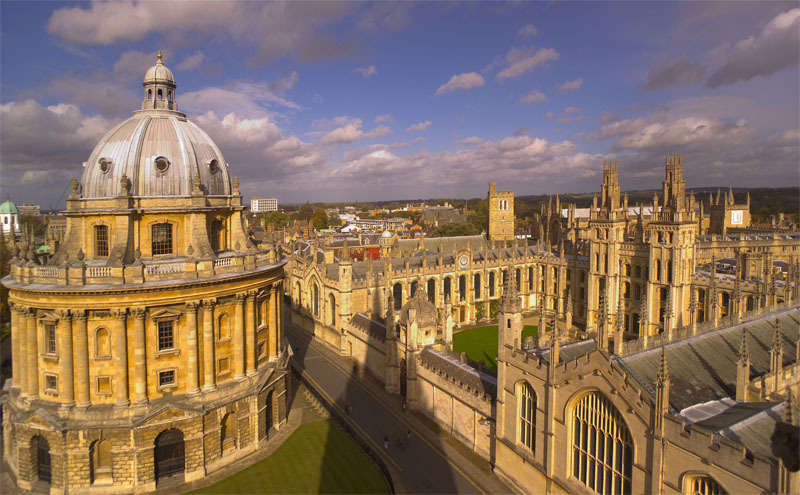 The establishment of the Precision Cancer Medicine Institute at the University of Oxford also carries the important support of the Oxford University Hospitals (OUH) NHS Trust. Cancer patients from Oxfordshire and nationwide will be able to participate in research studies in a state-of-the-art institute under the guidance of leading clinicians. The institute is changing the model for the development of new cancer treatments by focussing on patients with early-stage cancers that may currently have a poor prognosis, with the aim of improving outcomes and cure rates. Trials of novel drugs and targeted treatments will be carried out in early-stage cancer patients alongside the standard treatment they are receiving, in what are called ‘window-of-opportunity’ trials. A patient volunteering to participate in a trial would receive a new cancer drug in the weeks off they might have from the chemotherapy and surgery they are being prescribed. This allows comparisons to see if the new drug offers any additional improvements over standard treatment courses.